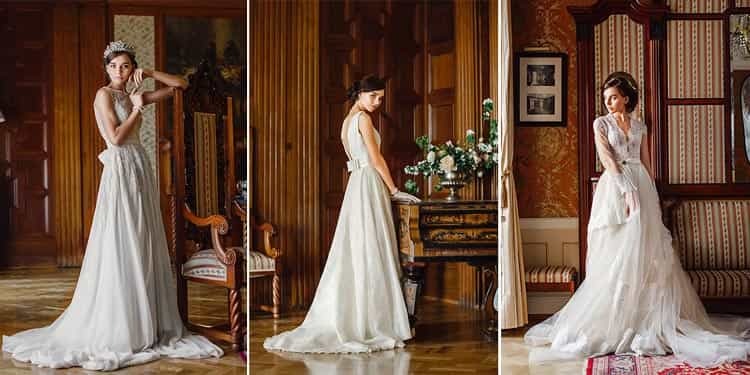 Masters of the art of hospitality for over 140 years, we bring exceptional expertise to your wedding ceremony in St Petersburg. 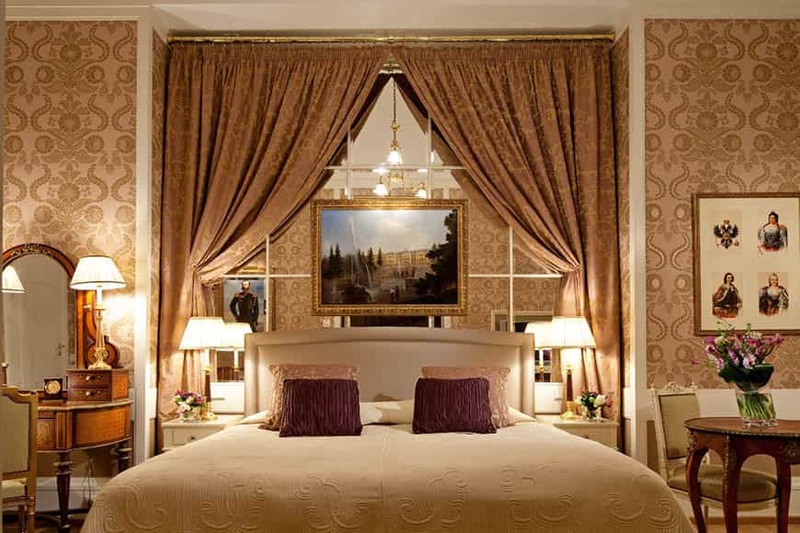 Located in the heart of the cultural capital of Russia, Belmond Grand Hotel Europe combines the charm and elegance of 19th century tsarist Russia with the contemporary comfort. Belmond Grand Hotel Europe provides an ideal base for both exploring the beauties of the city and celebrating love with your one and only. Winding canals, inspiring architecture and a unique spirit of St Petersburg set the scene for a magical celebration or honeymoon. 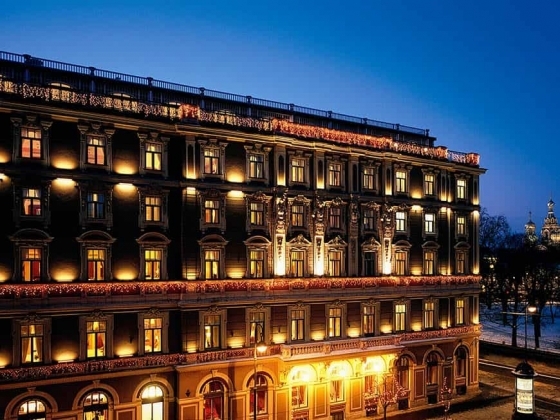 A 19th-century landmark, Belmond Grand Hotel Europe, St. Petersburg is located on Nevsky Prospekt and surrounded by some of the world’s greatest cultural treasures, including the Russian Museum and Hermitage. 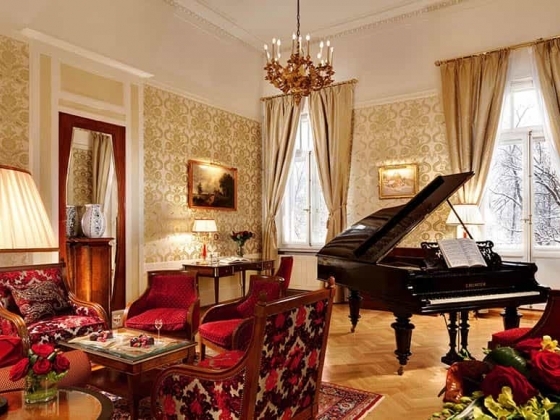 The hotel offers 266 rooms and suites, conveying an elegance unseen since the days of the Tsars when Dostoevsky and Strauss were frequent visitors. 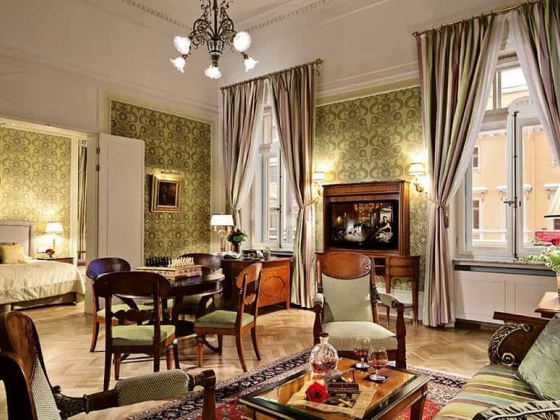 Steeped in history and romance, the Belmond Grand Hotel Europe is a timeless icon of luxury and sophistication in the heart of St Petersburg, and once the honeymoon destination of Pyotr Tchaikovsky. This heritage building’s spectacular interiors are redolent with echoes of fabulous gatherings staged for some of the past century’s most renowned personalities. And yet at Belmond Grand Hotel Europe, we wear our history lightly because the present and the future are equally significant. 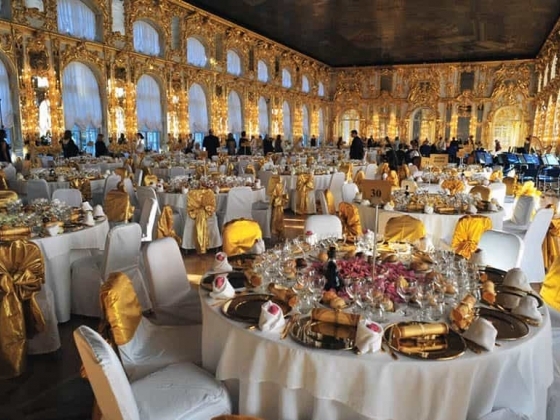 We continue to host some of Russia’s greatest occasions — and the most important event that we are planning now is yours. Special menu devised by our executive chef. Our team of chefs is renowned for both traditional Russian and innovative, international dishes that will delight your guests. Our pastry chef will be pleased to create a wedding cake of any size, for up to 150 guests, to include special designs and a message of congratulations. Our gorgeous chocolate desserts provide the finishing touch to a very special day. Exquisite floral decorations. The expert florist at Belmond Grand Hotel Europe creates exquisite bridal bouquets and stylish buttonholes for the gentlemen. 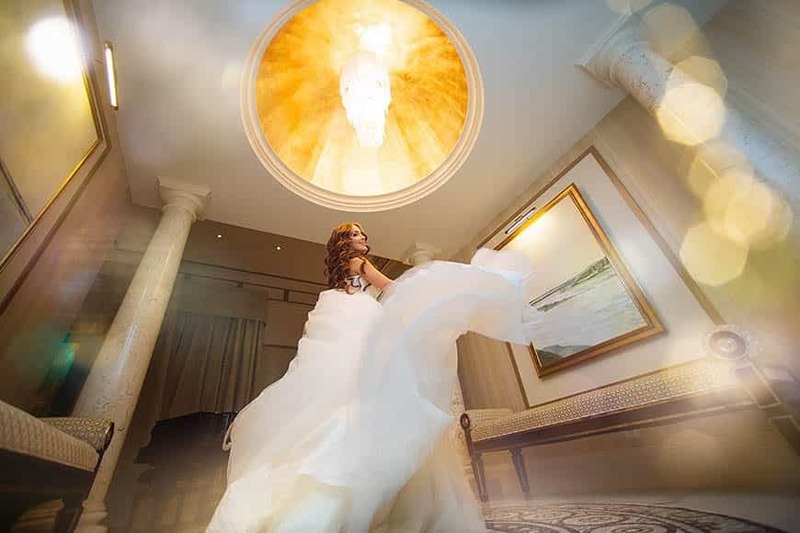 With its stunning stained glass ceiling and sparkling chandeliers, it is known as the most fashionable venue in the city. This magnificent space was conceived by Tsar Nicolas II, who presided over plans to create this celebrated ballroom atop the hotel. With its stunning stained-glass ceiling and terrace overlooking the city skyline, it quickly became the most fashionable venue in St Petersburg. Today, this period chamber has lost none of its lustre, and continues to sparkle both with its elegance and the sense of occasion it inspires. The Ballroom can accommodate up to 200 guests for a sit down dinner, and up to 250 for reception. L’Europe Restaurant has been hosting grand occasions for more than a century. 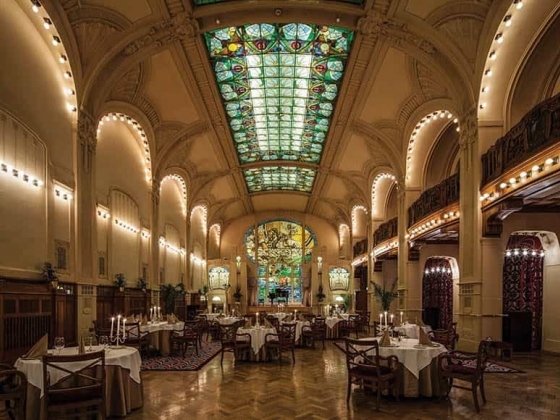 St Petersburg’s celebrated restaurant can be transformed into your private ballroom, illuminated by the magnificent stained-glass window of Apollo in his chariot. The uplifting atmosphere of L’Europe ballroom makes it ideal for full-scale banquets and dinner dances. Belmond Grand Hotel Europe’s name is for over 20 years behind some of the most noteworthy events in the St Petersburg social calendar. 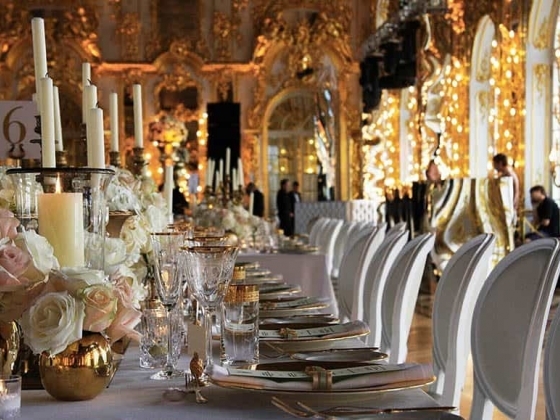 Gala celebrations and memorable events take place in the opulent venues as the Yusupov Palace, and the magnificent baroque Catherine Palace in nearby Tsarskoe Selo, the former residence of Catherine the Great, and many other palaces and historic locations. 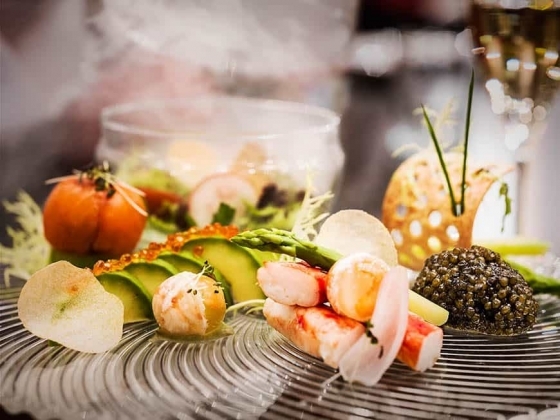 The banquets and formal occasions that we arrange are noted for the highest standards of hospitality and service, the fine cuisine and wine, and entertainment by world-class performers. Brand-new New Avant-Garde and Presidential Suites may become a perfect setting for a romantic time for couple. 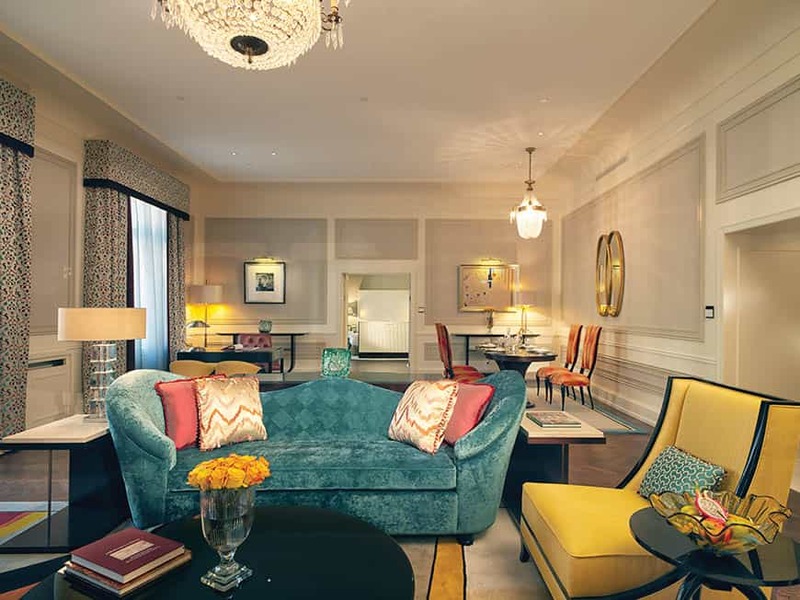 Designed in homage to Russian art of the 1900s, the five Avant-Garde Suites are named after famous artists from the era. Opulently decorated with high ceilings, each space is individually designed to reflect its namesake artist and features specially commissioned artwork that is reminiscent of their work. Each Avant-Garde Suite has a spacious separate bedroom with king-size bed, living room with dining table for four to 10 people and a marble bathroom with separate bath and shower. The opulently decorated spaces feature a boudoir with dressing table, as well as luxurious upholstered furnitures such as couches, corner sofas and recliners. 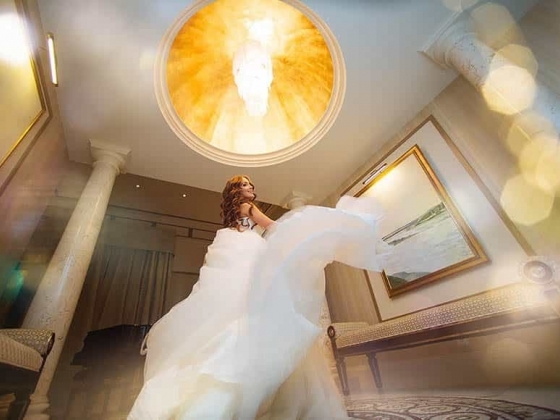 Sprawling over 350m2, the lavish Presidential Suite is accessed through a grand lobby with dramatic domed gold-leaf ceiling and offers views of Nevsky Prospekt and Mikhailovskaya Ulitsa. The grand suite features two bedrooms with king-size beds, two marble bathrooms and a sauna. The suite has its own exclusive fitness centre with treadmill and cycling machine, a games room and a combined study and library with secret bookcase door leading to the bedroom. 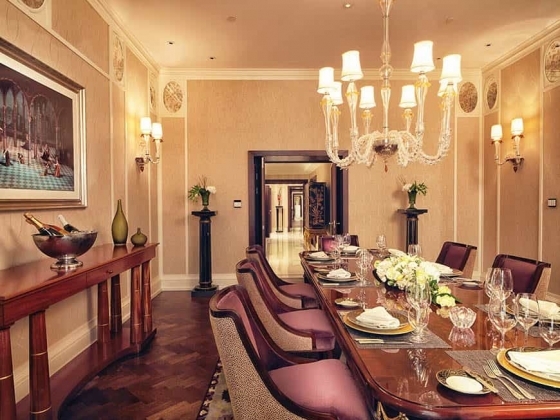 Guests in the Presidential Suite can enjoy privately cooked meals in the dining room, which seats up to eight people and is perfect for an exclusive dinner party, before enjoying a drink in the spacious living room’s own bar with spectacular views of the Nevsky Prospect. There is also a full kitchen and a music room with antique Carl Schroeder grand piano. The fifth-floor Terrace Rooms are graced by beautiful outdoor terraces offering panoramic views of the city—particularly popular in summer. St Petersburg is an enchanting city steeped in romance, full of unique ideas and a peerless setting for a uniquely romantic honeymoon. St Petersburg is world known for its beautiful labyrinth of rivers and canals across the city giving it a distinct character. Discover St Petersburg in true Russian style with a tour of the River Neva and explore the city centre from the riverside. And as soon as the nights in the city become white boat trips would be especially curious. 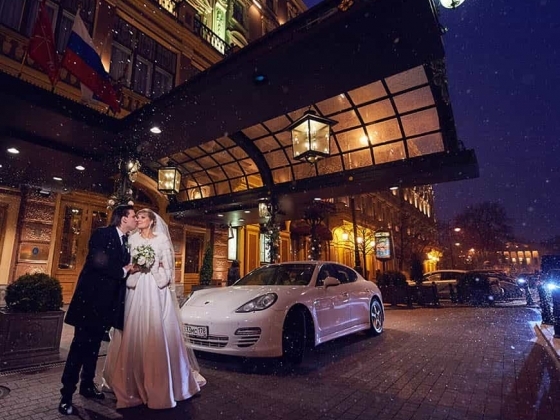 Surprise your loved one with a romantic escape to St Petersburg, the city of Russian Tsars. The most romantic period to come is a season of White Nights, when you can take a walk along the banks of the city's rivers and canals in almost broad daylight, no matter what the time of day. No other major European city can rival this experience nor the atmosphere on the streets of St Petersburg during the summer months. Accommodation: Our iconic rooms include an entrance hall and a plush bedroom with seating area. 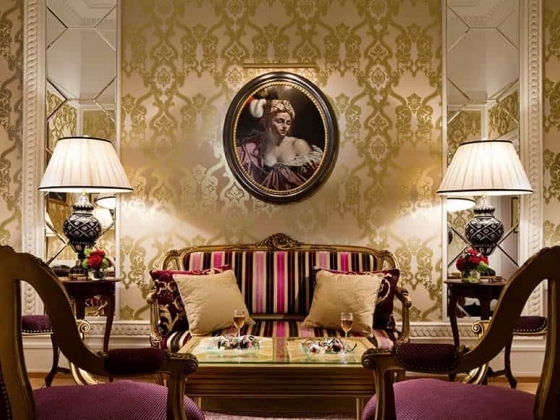 Adorned with Russian artwork, they’re the perfect place to unwind before exploring the city. 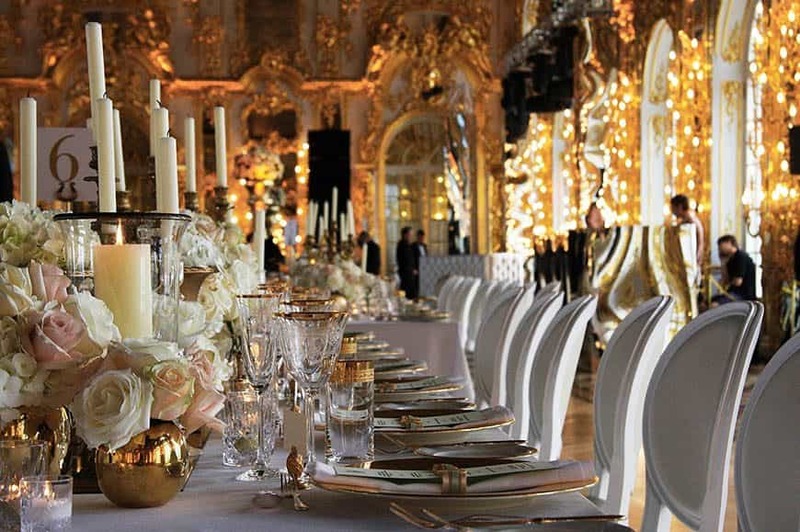 With Belmond, St Petersburg can be experienced in glamorous style.